Before I started work in the technology sector, I studied science. Though the science I studied was mostly about the living world, with hearts and brains and breath, and technology is about the lifeless and mechanical; I find a lot of similarities between the two every day. Innovation in the fields of both science and technology aims to improve quality of life, increase efficiency and result in the general betterment of humanity. Then again, sometimes things are done simply because it’s really, really cool to do it. Flexible phones are a little bit of both. In some ways the idea of being able to bend and fold your phone may seem like just a bit of a novelty, but in other ways it makes a lot of sense. Whether you want one for the convenience or just because it looks sweet, there’s a lot to admire about this futuristic smartphone trend. The “flexible” in flexible phone refers to the display: a flexible phone is one where the screen can be bent, folded, rolled or has some other flexible quality. Samsung first showed off their prototype for a flexible phone at the Consumer Electronics Show (CES), where a stunned audience watched as the presenter bent and curved the screen. 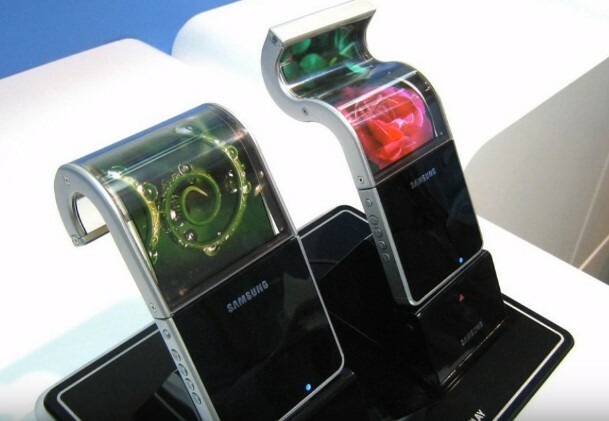 Samsung also showed an advertisement for a smartphone that could fold in half! People are getting all shook up about flexi-phones again with Samsung representatives teasing that we could see a foldable smartphone this year. Some of you out there may be wondering: is there any benefit to having a flexible display, or is this just a fad? Though it may be flashy, there are some real uses for bendable screens. There was a time when mobiles seemed to be getting more and more “mini” and many thought this trend of shrinking cells would continue well into the future. That all seemed to turn around when the first iPhone was released in 2007. Consumers adored the interactive digital display and from that point on, people thought: the bigger the display, the better! With smartphones being used increasingly as mini-televisions and game consoles, having a large screen and high quality display is ideal. This is also why tablets have taken off in such a big way; but it’s hardly handy to carry around a whopping great tablet everywhere. And the bigger the smartphone, the more difficult it is to squeeze it into your pockets or purse. It used to be a trade-off: get a smaller smartphone for portability and keep a tablet at home for movies and games. With a flexible screen you can get the best of both worlds. Imagine having a pixel-packed, high resolution device that slips easily into your pocket, for all the times you’re bored on public transport or stuck in the waiting room at the doctors. Folding isn’t the only way flexible phones can be more transportable – a phone that is able to curve can wrap your wrist and be worn like a watch. Think of all the extra pocket real-estate you’ll have when your smartphone becomes a wearable. Plus it’s the first step towards a full suit of techy robot armour. Changing the way a mobile moves is going to revolutionise the way we see and interact with our smartphone, opening up these devices to a whole world of innovation opportunities. 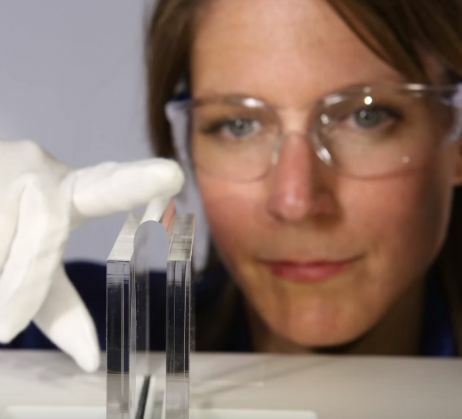 Queen’s University’s Reflex is already finding clever ways to utilise bendable screens. With the bending action, you can “flip” through the “pages” of a story; a vibration and sound feature creates the sensation of really flipping a book page. They’ve also incorporated the bending action into games. The Reflex plays Angry Birds with a bend and release action, allowing you to control how far you fling your birds using the intensity of the bend. Angry Birds and comic books are just the beginning, though. The bend gesture opens the gates for all kinds of new physical interactions with your smartphone. A light, flexible display which is able to bend and fold without cracking or breaking is less prone to shattering from being dropped. Shattered mobile screens could become a thing of the past (which is great for me because I drop my phone a good 10 times a week!). Imagine having a phone so shock-absorbent that you don’t have to worry about buying an additional cover to protect your investment. I’ve gotten my hopes up for flexible phone announcements in the past that never came to fruition, so I’ll try not to hold my breath too much – but I’ll have my fingers crossed we get to see this twisty tech by the end of 2016! So what do you think about flexible phones: gimmick or game-changer? Let us know in the comments below. Flexible phones that bounce on contact with the floor. Brilliant! What will they think of next? As a tradesman who carries a mobile in my pocket only to find it has broken from some sort of pressure or impact, I find the theory of a flexible phone encouraging. Please tell me it would be practical for real people and not just another game toy for the office set. I think it will be very useful in many ways! As long as they can make sure the screen does not wear out and lose pixels along the way. Flexible screens mean I can put it on my wrist saving space in my bag, and the page turning like a book is the best idea, and not having to worry about smashed screens will be the best thing! I keep my phone in mu handbag. Would the screen become scratched without a cover to protect it? 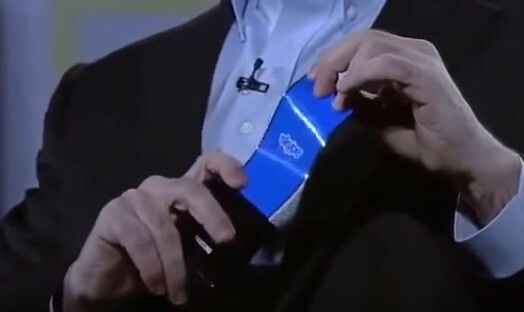 I think for men who keep their phone in a pocket, flexible phones would be a great idea. It would not break if it was accdidentally sat on! I was disappointed by the waffle – My fault, I read that as “flexible phone plans” I’m quite happy with the rigid ones (Phones). Things are getting better and better all the time! It will be great when we are able to dispense with the telephone wiring altogether and rely only on USB modems!